The quarterback position is the most important in the NFL game today, which was evident when the first two picks in the draft were quarterbacks despite them not being the best overall players. The game has evolved so much that throwing 4,000 yards and 30 touchdowns is considered average. Yet while quarterbacks are valued and paid more than anyone else in the league, it has become customary in Fantasy Football not to draft the position until the 3rd round at the earliest. There are some quarterbacks who can win games for you all by themselves (Cam Newton), some who will give you a solid output week-to-week (Carson Palmer) and those who could lose games for you (Hopefully not ranked here). After publishing the first list back in February and another on Day 1 of the NFL Draft, let’s take a look one last look at the Top-25 quarterbacks who will likely be drafted in your league this year. 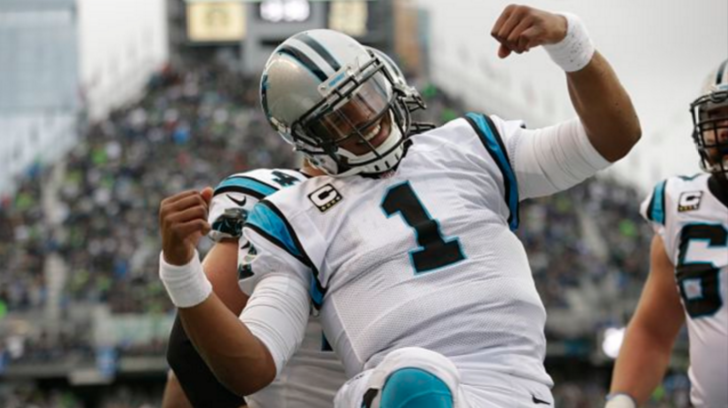 Cam Newton scored touchdowns, whether it was through the air or on the ground, in EVERY game he played during the 2015 season. He recorded 45 in total (35 passing, 10 rushing), plus 3,837 yards passing and 636 yards rushing. It was an unprecedented year for a quarterback, and sure it’s hard to expect him or anyone to do it again…but Newton’s talent and skill-set are too unique to doubt it. Aaron Rodgers saw his numbers dip a little last season without Jordy Nelson. 31 TD/8 INT are nice for anyone, but down from the 38/5 the year before. Twice he threw 4 or more touchdowns in a game in 2015, but he wasn’t helping fantasay owners much down the stretch averaging just 1 TD and 1 INT a game in the final 3 games of the season. 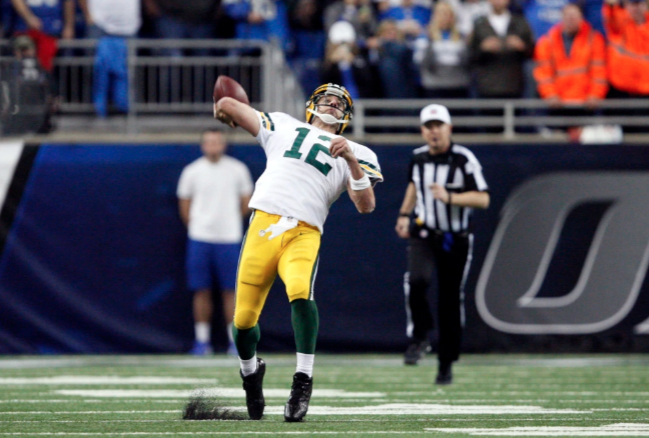 How often, though, have you seen Rodgers make throws and finish drives like the best quarterback in the league should? The Packers offense appears to be returning to normalcy in 2016, and that bodes well for the Discount Double-Check. Carson Palmer consistently gave those who likely stole him in the middle rounds last year a stat line of 2 touchdowns and 290 yards per game. That consistency goes a long way when everyone after Palmer on this list (outside of Tom Brady) has proven to give you a much worse output on any given Sunday. Palmer is 36 and not getting any younger, but the talent around him should continue the momentum he has built following his best statistical season to date (35 touchdowns, 11 interceptions and 4,671 yards). The Seahawks offense found an incredible groove in that span, and it was built around both Russell and Thomas Rawls. With most of the offense returning and hopefully a better Year 2 of Jimmy Graham, it’s not inconceivable to see Wilson sustain that production for a full season. The Patriots (and the rest of the league) appear to have accepted Tom Brady’s 4-game suspension, but that shouldn’t stop you from drafting him by the 5th or 6th round. 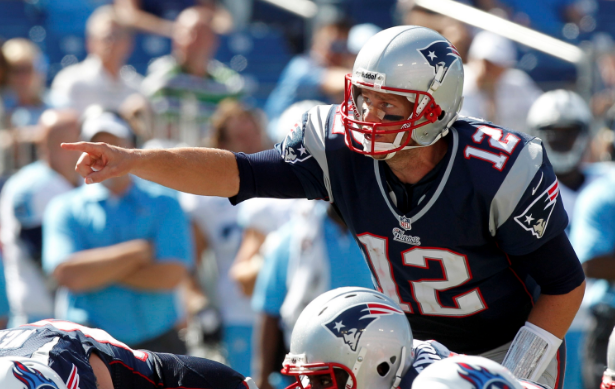 The caveat should be that you have your fill-in quarterback drafted not long after, but Brady will be returning after throwing the most touchdown passes in 2015. He’ll also have the best tight end combo in the league (Gronk & Bennett) to absolutely terrify opposing red zone defenses. 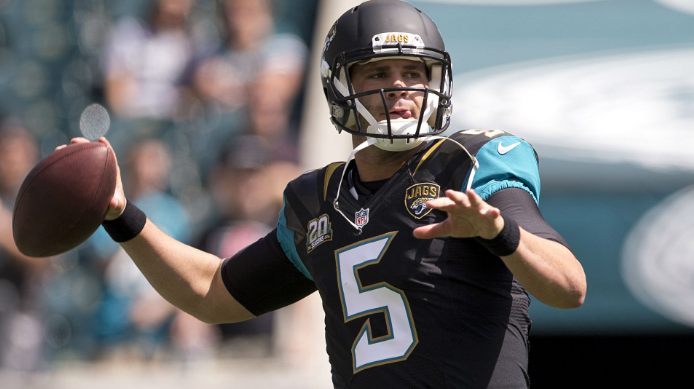 Despite being the most sacked quarterback in the league in each of the 2 seasons of his career, Blake Bortles was one of the most improved players overall from one season to the next. 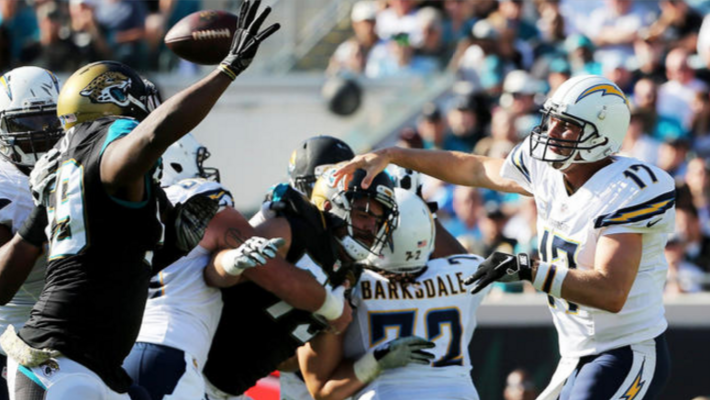 Additions to the offensive line and Chris Ivory should improve Bortles’ protection, and his wide receiver tandem of Allen Robinson and Allen Hurns are one of the best in the NFL. 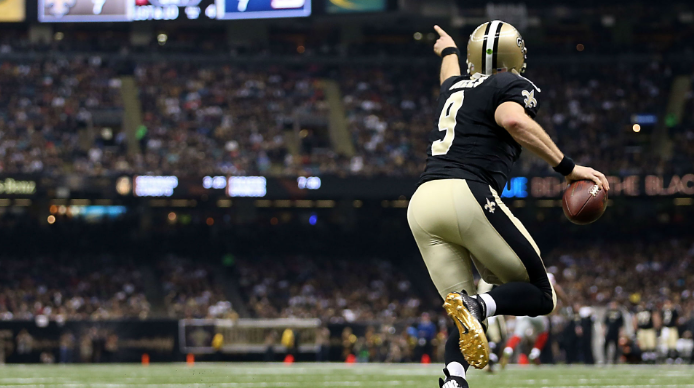 Although it’s been a slight decline year-to-year, Drew Brees has averaged 5,127.4 yards thrown over the past 5 seasons. Yardage hasn’t been a problem for the 37-year-old quarterback, neither have attempts or completions as he ranked 2nd in both last season. Also declining have been his touchdown numbers though, throwing 32 last season when he averaged 40 the four years prior. He did throw multiple touchdowns in 9 of his 15 games last season, including a 7-touchdown performance Week 8 against the Giants. Despite missing 4 games last season, Ben Roethlisberger still got after it with the high-powered Steelers offense. For the 2nd season in a row, Roethlisberger led the league in passing yards per game (328.2). Even without Martavis Bryant, he’ll have Antonio Brown, Markus Wheaton, Ladarius Green, and Le’Veon Bell available to make big plays for him. There is only one Manning brother in the league, and he’s coming off a season where he threw the most touchdowns of his career. 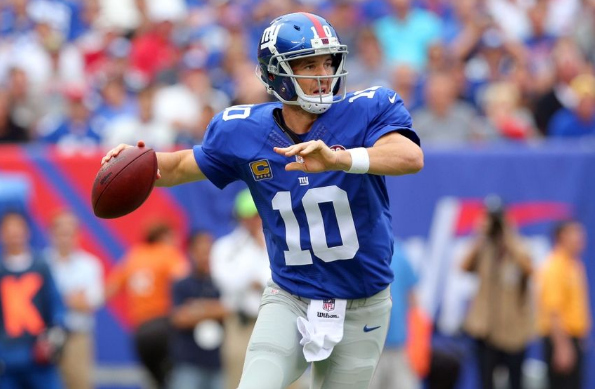 Eli Manning threw multiple touchdowns in 11 of his 16 games, 5 of which were for 3+ (including the 6-touchdown battle with Drew Brees). The Giants spent most of their free agency spending on the defensive side of the ball, but upgraded their pass catching group by drafting WR Sterling Shepard (Oklahoma) and TE Jerell Adams (South Carolina). Year 3 of Odell Beckham Jr. should also lead to plenty more “throw it up and catch it” plays from Eli. 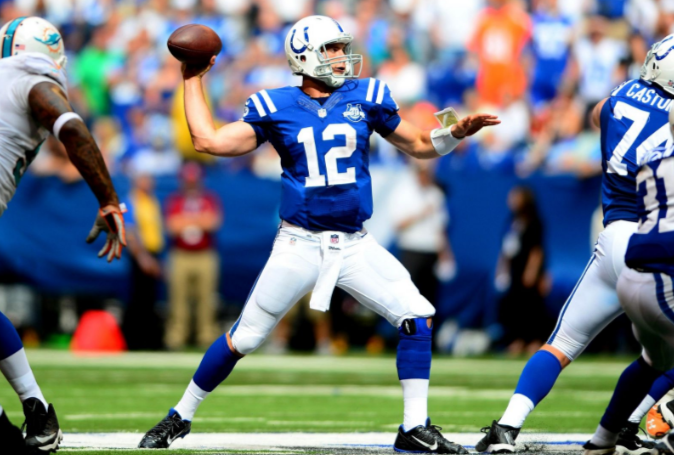 After awarding him with the league’s biggest contract, 6 years for $140 million, the Colts are betting a lot on Andrew Luck to be the quarterback who threw 40 touchdowns and 4,761 yards in 2014…not the one who only played 7 games in 2015 and threw just 15 touchdowns. 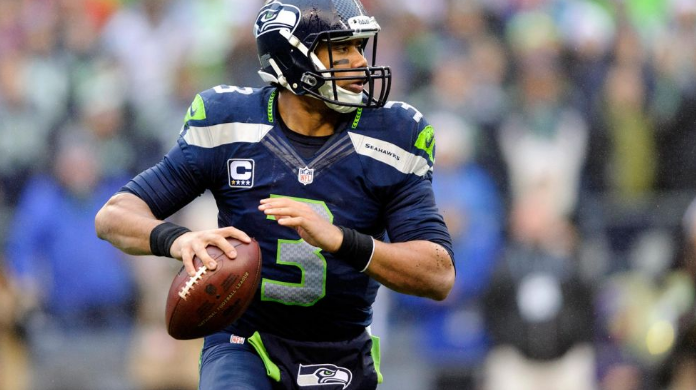 When you invest that kind of money in a quarterback, the pressure is on for him to produce. 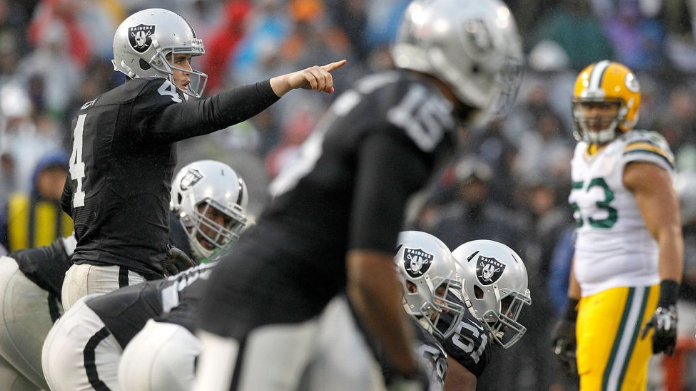 Derek Carr is a star in the making. Like Bortles, Carr had a much better sophomore season by throwing 11 more touchdowns than he had in his rookie season. He also led the league in comeback victories with 4 total. I expect his chemistry with Amari Cooper and Michael Crabtree to improve even more, for Latavius Murray to compliment him better, and for their incredible offensive line to make all of that possible. The pass-happiest quarterback of them all started out so incredibly hot in 2015. 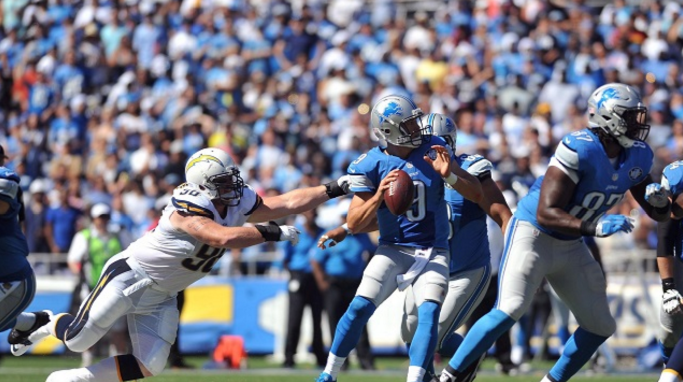 In the first half, Rivers averaged 344 yards per game with 15 touchdowns and 7 interceptions. Then EVERYONE around him got injured, including Keenan Allen, Malcolm Floyd, Antonio Gates and a majority of his offensive line. It was Rivers and Danny Woodhead against the world (which needs to be a buddy comedy). Ken Whisenhunt has returned to San Diego as offensive coordinator, who helped resurrect Rivers’ Pro Bowl production in 2013. He should be available in the middle rounds as a late QB1 or top tier QB2, and his weapons will be touch to pass on as well. I found myself rooting hard for Andy Dalton last season. He always gets the Bengals to the playoffs but can’t get them out of the first round, so he takes a lot of heat for that. 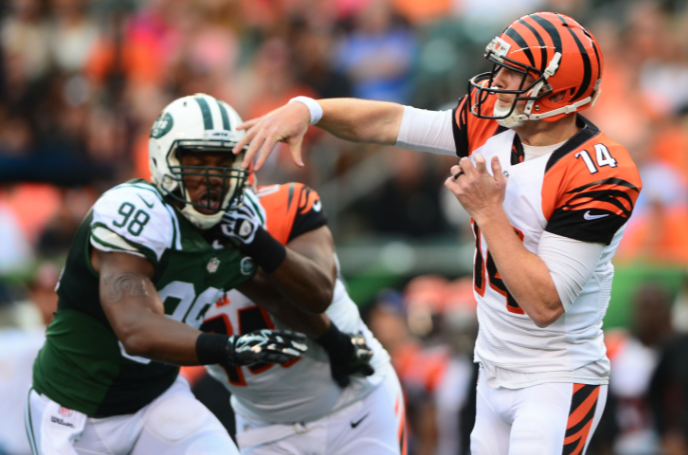 Before getting injured early in his 13th game of the season, Dalton was on pace to match his career high passing touchdown total (33). 9 of the 12 games prior, he recorded multiple touchdowns and added rushing TD’s in 3 of them. There’s some concern with the departures of Mohamed Sanu and Marvin Jones, but #ADalt will still be throwing to AJ Green, Gio Bernard and Tyler Eifert when he returns. Also, don’t sleep on new addition Brandon LaFell filling in the WR2 role. 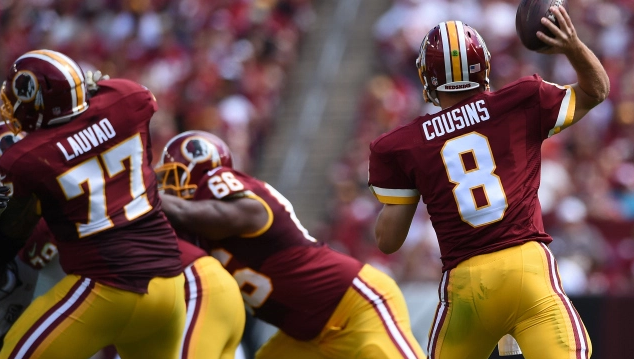 Kirk Cousins stepped up big in his first full season of starting in the NFL. He threw 29 touchdowns, 11 interceptions and 4,166 yards and that earned him a franchise tag from the Washington front office. His gamelogs don’t flash many multi-touchdown pass games, but he did record 5 with 3+ and 3 of those were for 4. He’ll be motivated even more to earn a longterm deal and the combo of Jordan Reed and DeSean Jackson at their healthiest will be helpful in getting there. Despite injuries to his Top 3 WRs (Alshon Jeffery, Kevin White and Eddie Royal), #1 TE (Martellus Bennett), #1 RB (Matt Forte) and having to manage his offense in spite of a leaky defense, Jay Cutler produced his best statistical season since joining the Chicago Bears. He recorded multiple touchdowns in 8 of the 15 games he played with a receiver group that resembled one from the 4th quarter of a preseason game. 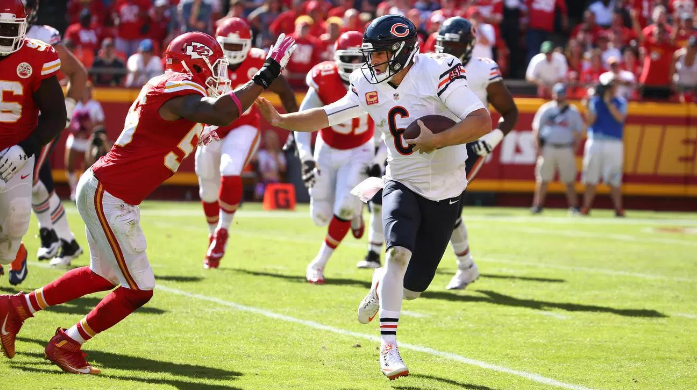 A very much improved defense, a franchise tag motivated Jeffery, the debut of Kevin White, and offensive play-calling that compliments his strengths should help Cutler and his numbers immensley in 2016. 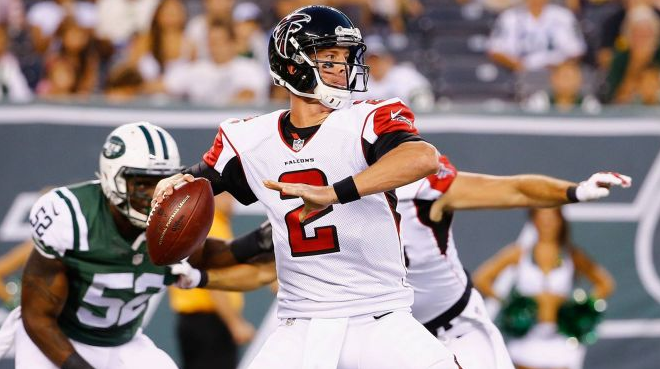 Despite having arguably the best WR to throw to and breakout RB Devonta Freeman, Matt Ryan threw as many touchdowns (21) and MORE interceptions (16) than Jay Cutler in more games played. Just watching him week-to-week, you wanted to yell at your television out loud, “JUST THROW IT UP TO JULIO!”, but Ryan would appear overmatched by the pass rush. Ryan will have better protection with new offensive linemen, like Pro Bowler Alex Mack at Center, and new WR2 Mohamed Sanu. The improvements to the offense should help Ryan bounce back but this will be the last straw for many people. There was Matthew Stafford before Jim Bob Cooter (not great) and Matthew Stafford AFTER the OC took over for Joe Lombardi in Detroit. It began with 4 touchdowns against the division rival Bears in Week 6, then 8 multi-touchdown games over the next 10 games (including a 5 TD performance against Philly). Stafford’s issues over his career have always been consistency. He threw 41 TDs in 2011 but then just 20 the next. 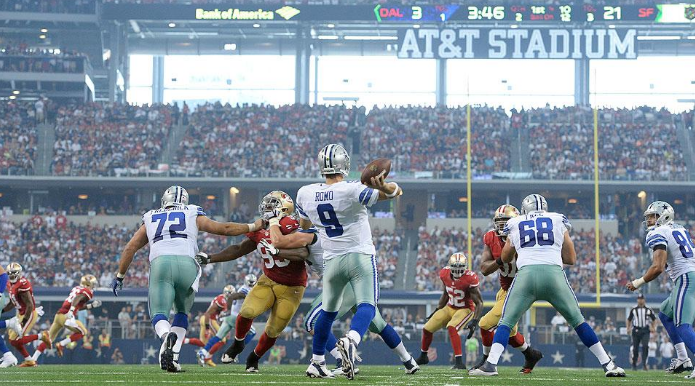 Fantasy owners better hope history doesn’t repeat itself in the now post-Megatron era. Jameis Winston was clearly the best rookie quarterback last season after going #1 overall and backing it up with 22 touchdowns and 4,042 yards. Unfortunately for Winston, the Bucs didn’t do much upgrading around him on offense after elevating his offensive coordinator to head coach. 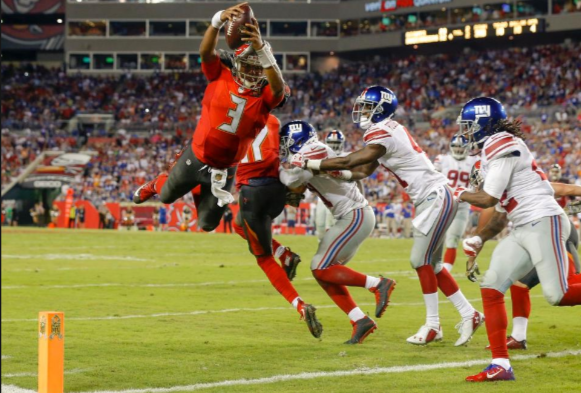 If Doug Martin lives up to his new contract and Mike Evans catches more balls in the end zone than he drops, Winston could ascend to monster levels, like he had on the field at Florida State. Brock Osweiler left Denver for an excellent situation in Houston. The Texans added multi-talented RB Lamar Miller and drafted two ridiculously athletic WRs in Will Fuller and Braxton Miller to compliment the very elite DeAndre Hopkins. 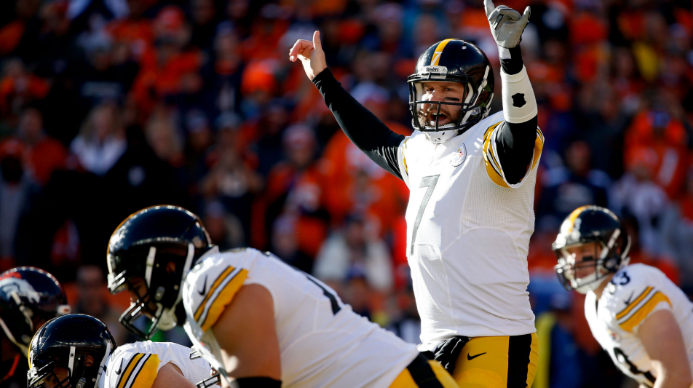 Osweiler showcased why he belongs in NFL with a comeback win against Chicago, a statement win against New England, and keeping pace with the high-powered Steelers offense. However, there were times when Osweiler wasn’t inspiring confidence, which setup the welcomed return of aging Peyton Manning. 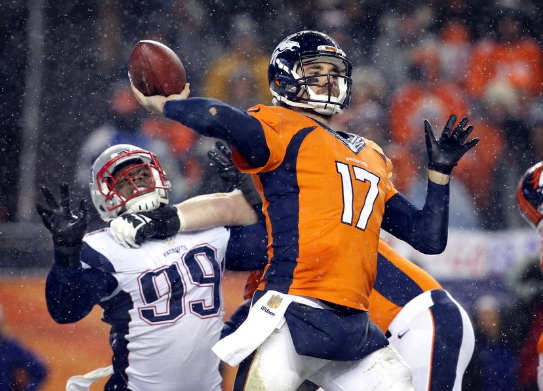 Head Coach Bill O’Brien will be excited to sculpt Osweiler into his kind of quarterback with a great set up weapons. It will be on Osweiler, though, to make it work. 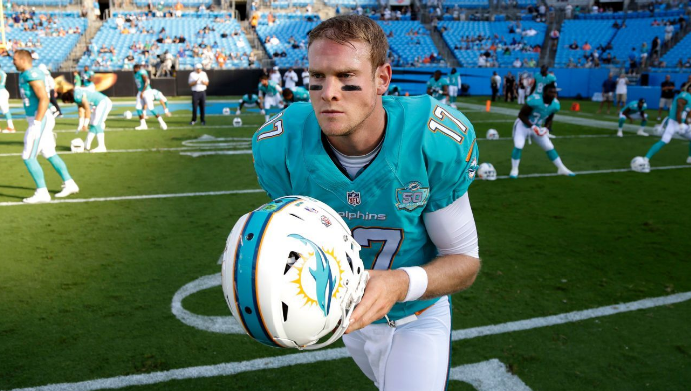 Adam Gase should be the best thing to happen to Ryan Tannehill. Gase made TIM TEBOW work for a season, managed Peyton Manning’s offense, and helped Jay Cutler look like the quarterback he was meant to be. Tannehill is ridiculously skilled in play-action and option-style offenses, capable of running and throwing for big plays. With budding star WR Jarvis Landry as his #1 option, Tannehill can play more like the the QB who 4 touchdowns against JJ Watt’s Texans and not the one who contributed nearly nothing in 4 different 2015 games. In 1/3 of the 12 games Marcus Mariota played in his rookie season, he threw 3+ touchdowns (tying Peyton Manning’s Rookie record). He became the first player to throw 3 touchdowns and 250+ yards, plus run for over 100 yards as well. Overall, he proved to be a big playmaker. 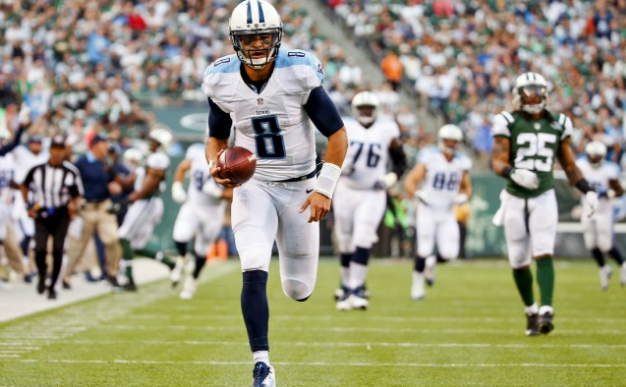 The Titans comitted to continuity by sticking with interim HC Mike Mularkey and also their running game by adding DeMarco Murray and Heisman winner Derrick Henry. If Dorial Green-Beckham finally emerges as a true #1 receiver and the offensive line keeps him in one piece, Super Mariota could continue to grow as Fantasy producing force. 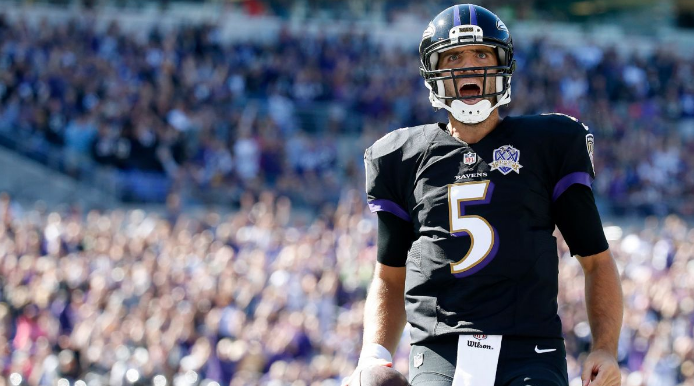 Joe Flacco’s 3-year extension was Baltimore’s attempt to answer the age-old question “Is Joe Flacco elite?”. He’s never thrown more than 27 touchdowns in a season but can surprise you with a 5-touchdown spot, like he did against Tampa in 2014. In Steve Smith Sr’s farewell season, it shouldn’t be far fetched to see Flacco throwing deep and often to bounce back from his injury-ended 2015 season. 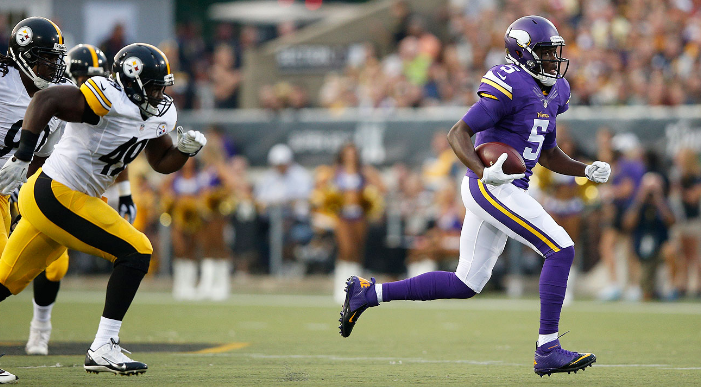 Since coming into the league in 2014, Teddy Bridgewater hasn’t taken the next step being a viable Fantasy option. 2016 looks like an opportunity for it though, as the Vikings bulked up their offensive line and added the best wide receiver from the draft, Laquon Treadwell. Treadwell is excellent as possession option and Stefon Diggs emerged as a playmaker downfield last season. Now it’s on Bridgewater to make those plays. Alex Smith is the safest spot-start option out of anyone that isn’t named on this list. 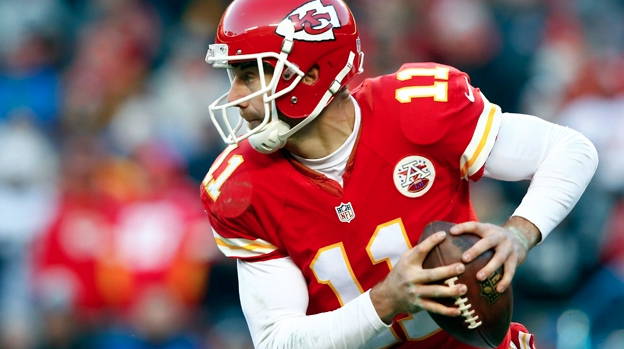 He’s back to throwing touchdowns to wide receivers, has an excellent #1 option in Jeremy Maclin, mini-Gronk Travis Kelce, and Jamaal Charles returning. It’s also worth noting that he threw multiple touchdowns in 4 of the final 6 games of the season and has one of the league’s best defenses to enable him to score more.